﻿ Real Sociedad 0-3 Real Madrid. We're in for a treat! 21.08.2016 » Real Sociedad 0-3 Real Madrid. We're in for a treat! 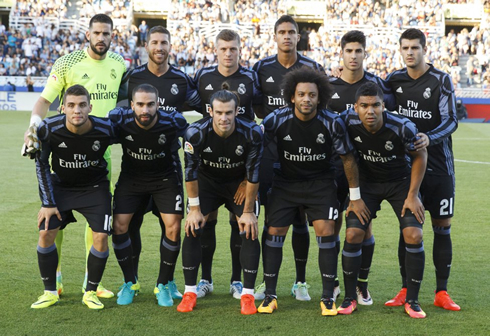 Real Madrid started their La Liga campaign with the right foot, after visiting the Anoeta and beating Real Sociedad 3-0. With Ronaldo still sidelined, it ended up being Bale (2x) and Asensio stepping up and scoring the visitors' goals. One game and three points are both in the book tonight for Real Madrid, as they ran off with a comfortable 3-0 victory away to Real Sociedad. Gareth Bale and Marco Asensio were both on the scoresheet, with the Welshman scoring twice and the 20-year old, who was given his first name as am homage to Marco Van Basten, scoring one of his own with a delightful chip. If we have in mind who Real Madrid was missing in tonight's game (Ronaldo, Benzema, Modric, Pepe and Navas) and the level of difficulty a game like this usually presents, the Merengues have more than enough reasons to leave the Basque region with a big smile on their faces. Next on the list is Celta de Vigo and according to Zidane's latest statements, there's still a chance Cristiano Ronaldo might get his first minutes of the season! With Ronaldo, Navas, Modric, Pepe and Benzema all missing, this game could have potentially been a tricky encounter. However, when Bale scored just after 2 minutes the game had started, it was clear Sociedad were in for a tough night. 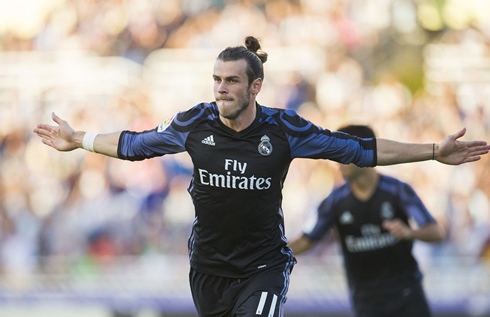 After a brilliant cross from Dani Carvajal, Bale rose majestically to bury his header into the top corner. After ending last season as Europe's best man in the air (statistically), he's right back where he left off this campaign. La Real would do a good holding possession after conceding early, but apart from some defensive lapses from Madrid, they never really threatened. Their best chance came from the feet of former Madrid player Asier Illarramendi, but he made a poor decision in front of goal. Speaking of poor decisions in front of goal, that seemed to be the mantra for Alvaro Morata today. That said, he was brilliant at times in the first half, weaving past defenders with ease, even if his end product wasn't that great. Promising game for the returning striker. 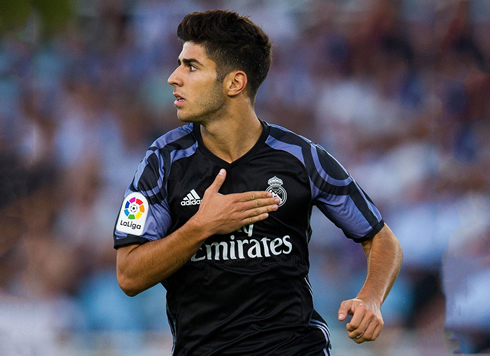 But the standout young player of the game would be Marco Asensio. His chipped goal after Varane's long ball was excellent in its right, but it's the youngster's ability and confidence on the ball that sets him apart from most young players of his age. Benching both James and Isco is no easy task and it's clear why Zidane trusts Asensio so much. The second half would move at a much slower pace, as Madrid looked to see the game off. James would eventually come off the bench and he looked rather sharp in limited minutes. The Colombian played about 4/5 class through balls and looked dangerous. He would even get an assist near the end with a smart through ball to set up Bale, who then easily rounded the keeper before finishing. Attackers: Gareth Bale, Asensio, Alvaro Morata. Cristiano Ronaldo next game for Real Madrid is for La Liga on August 27 of 2016, against Celta de Vigo. You can watch Juventus live stream, Real Madrid vs Celta de Vigo, AS Monaco vs Villarreal, Burton Albion vs Liverpool, Chelsea vs Bristol Rovers, and AS Roma vs FC Porto, all matches provided from our soccer live game pages.